After having spent almost two weeks in Koh Samui, it’s safe to say, we’ve fully explored almost every nook and cranny of the island. However, being one of the top tourist destinations in Thailand, Koh Samui is no longer that idyllic paradise that it once was. With that being said, there are still laid back sleepy beaches which you can escape to when you grow tired of the touristy sides of the island. For those of you who don’t know, Koh Samui is HUGE! It takes about an hour to drive around the entire island, and while that doesn’t seem long, familiarizing yourself with the main beaches is crucial. Being that it is such a large island, you will literally be spoiled for choice in terms of accommodations. You will have a wide range of villas, beach bungalows, and hostels to choose from. 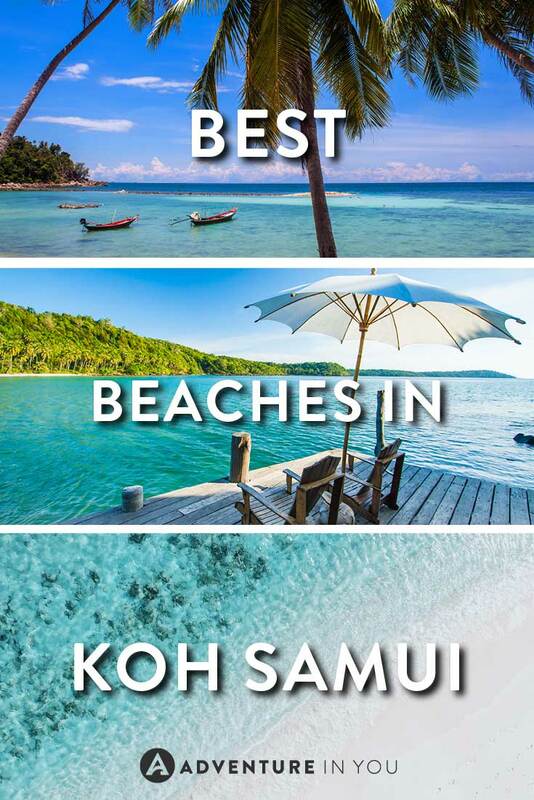 Based on experience, here are the best of Koh Samui Beaches which will hopefully guide you when choosing where to stay during your trip to this tropical island paradise. Chaweng is one of the main tourist hot spot beach destinations and is where all the action happens. Although it is the busiest, it is also one of the prettiest, with a long 7km stretch of white sand. While there are some large resorts in the area, the crowd in Chaweng tends to be younger as a lot of popular beach bars can be found in the area. If you’re looking for something a little bit more private, you can also check out Koh Samui vacation rentals which offer private villas in Chaweng Beach and around other parts of Koh Samui. 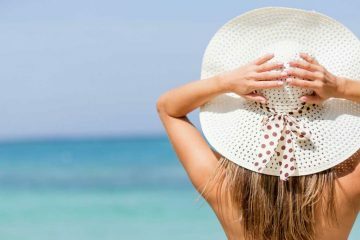 Except for early mornings, expect to see a busy beach full of people sunbathing, swimming, and enjoying a variety of watersports. If you’re looking for some peace and quiet, we recommend you skip Chaweng and opt to stay in the quieter beaches instead. 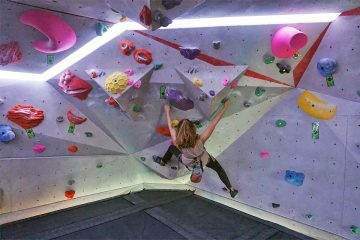 However, if you’re looking for a good party scene, Ark Bar is a pretty popular place to visit, especially for backpackers and young travelers. 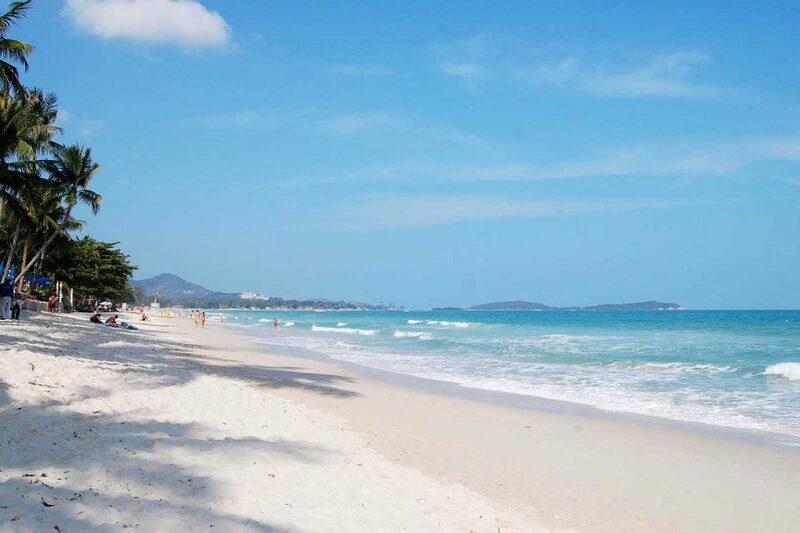 If you can get past the constant barrage of vendors and jet ski offers, Chaweng is a beautiful beach to stay at. However, in my opinion, unless you’re there to specifically meet people and socialize, there are plenty of other areas that are worth staying at. 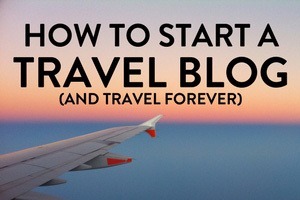 Related: Want to know the best things to do in Koh Samui? Check out our full article for more inspiration. 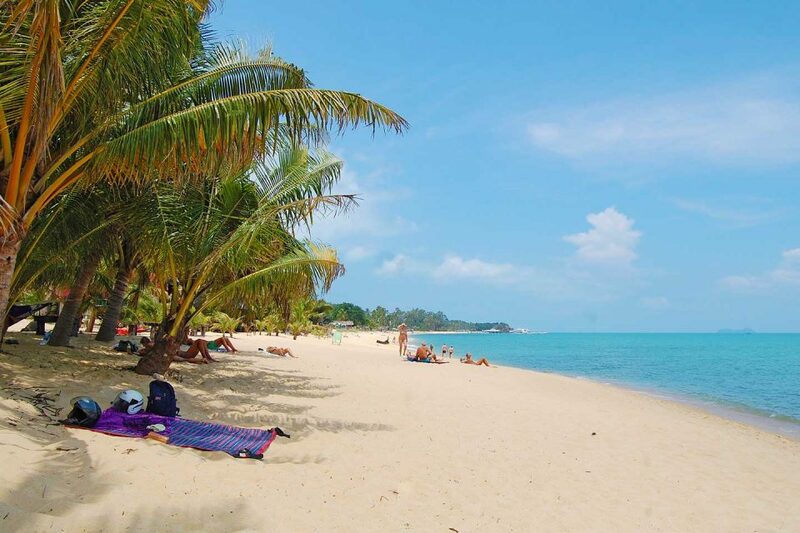 Next up the list is Lamai Beach which is the second most popular and busiest part of Koh Samui. Located about half an hour from Chaweng, the beach is definitely a lot quieter, with a more affordable range of accommodations. During the day, you can go for a quiet stroll or on a leisurely swim without any hassles. However, despite the tranquility, I found the town of Lamai itself to be too sleazy for my liking. At night, when the town comes alive, you have music blasting from multiple small girly bars. In fact, right next to the night market in Lamai, you will find dozens of bars with locals girls dancing, right next to where people are eating and drinking. While this may be other people’s cup of tea, it wasn’t ours which is why Lamai Beach scores low on our list of places to stay, especially for those traveling with families. If you can look past this and opt to stick to the just the beachside resorts without venturing to town, then Lamai is a great place to stay as it is social and lively, yet still relatively relaxed. 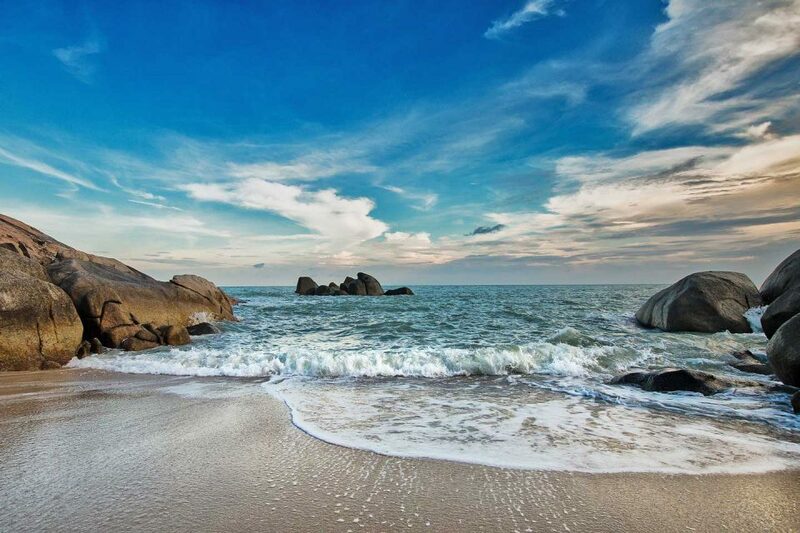 The famous rocks that Koh Samui is known for “Hin Ta and Hin Yai rocks” are located at the very end of Lamai Beach. Known as the home to the famous Fisherman’s Village, Bo Phut is a 2km long beach that once had a traditional fisherman’s village. 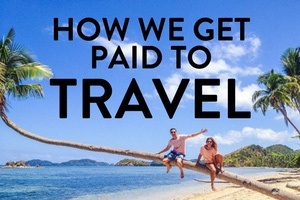 Nowadays, you will find a plethora of boutique resorts, restaurants, and watersports activities. 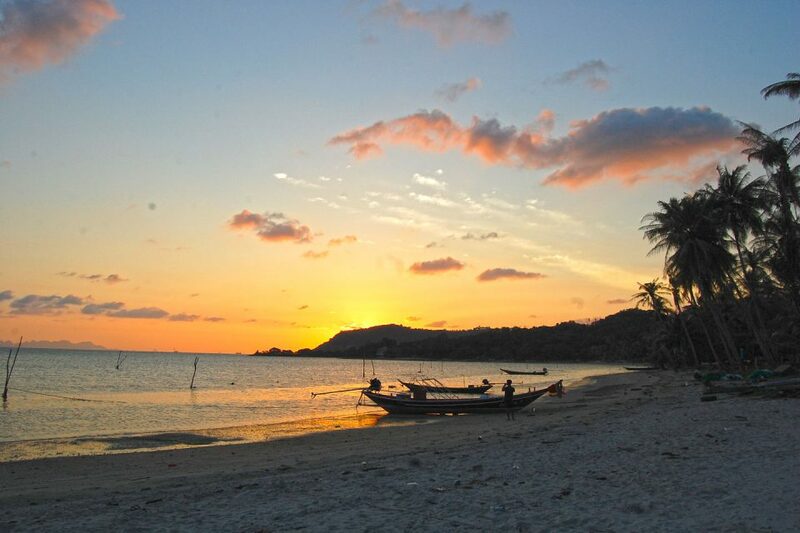 The area is very peaceful and is a great place to enjoy the tranquility of Koh Samui. Although the sand is yellowish, the beach area is still lovely and is a good place to swim and relax. As mentioned, from here, you will find boat tours to Angthong Marine Park, jet ski, wakeboarding, and flyboard rentals, making it a one-stop adventure area. Bo Phut Beach tends to attract a slightly older crowd who prefer some peace and quiet compared to busy beaches like Chaweng and Lamai. 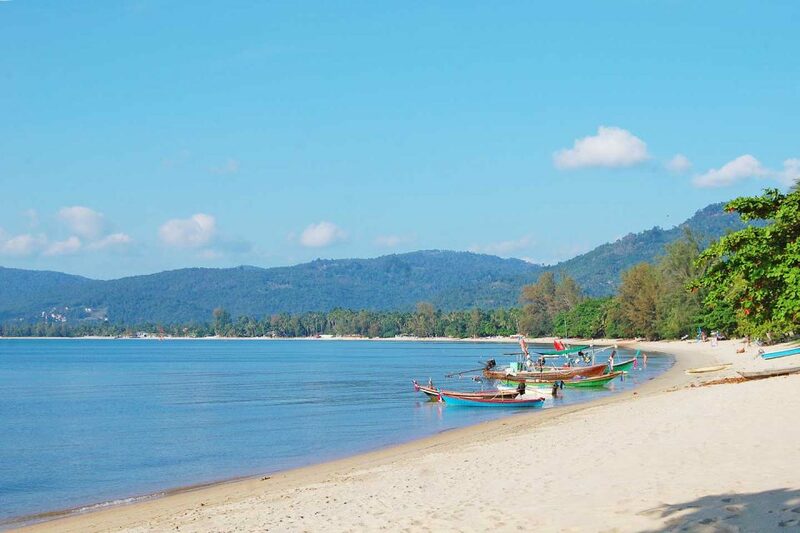 Located near the car ferry, the sleepy stretch of Lipa Noi is one of my top picks for Koh Samui beaches. While the white sandy shores of Chaweng are a lot more aesthetically pleasing, Lipa Noi is quiet, serene, and is the perfect spot for those looking seclusion. While the popular Nikki Beach resort dominates the area, there are other smaller places where you can eat, although they are quite limited. One particular favorite place worth visiting is Retro Bar which has a cool laid back vibe and fantastic cocktails. Aside from the peaceful and quiet location, as Lipa Noi faces the West which means sunsets here are rather stunning. Lipa Noi is a great place for families or couples who want a few days of seclusion and relaxation. A good balance for those looking for a beautiful beach yet with a variety of restaurant is Maenam Beach. This sleepy town area is a mix of both affordable beach bungalows, budget places to stay, as well as a few five-star resorts and villas. The beach itself is a 5km stretch of beige to yellowish sand and lots of suitable swimming areas. We spent a day driving around the different beaches and enjoyed our time at Maenam Beach the most due to its laid back island feel. In front of some beach bungalows, there were a few hammocks strung to nearby trees offering shade and respite for beach goers. If you’re looking for something in the middle of being convenient yet still quiet, Maenam Beach is a good choice for travelers. Located in the far southwest of Koh Samui, the quiet and unassuming Thong Krut beach is a great option for those that want to get away. We actually spent a couple of days on this side of the island when we stayed at the stunning Beach Samui Resort. While the ones listed above are a few of the best Koh Samui beaches, other places like Bang Por, Na Tien and Laem Set, and Taling Ngam beach are also worth looking into for those looking for remote getaways. 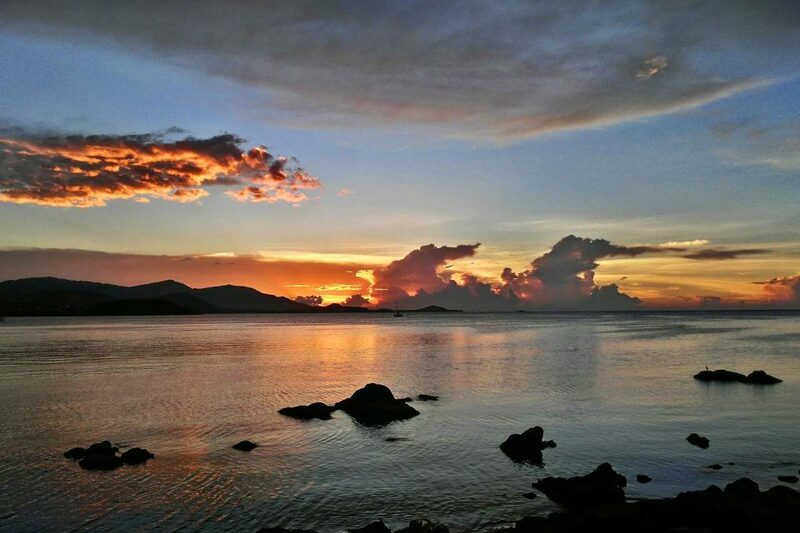 Taling Ngam, in particular, offers stunning sunsets that are pretty spectacular. If you’re still unsure about which beach to stay at in Koh Samui, you can check out our article on where to stay in Koh Samui to help you find an ideal place to stay. 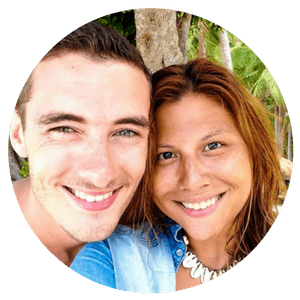 Airbnb Villas: If villas are more your thing, you can also look at renting a villa while in Koh Samui via Airbnb. 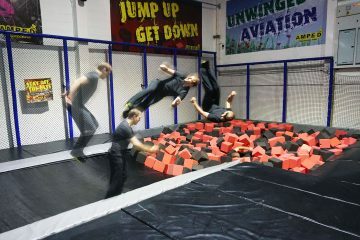 Check out our full article on how to get $45 coupon code for your booking or simply click here to get our coupon code. After Koh Samui, if you’re planning to explore the surrounding islands, we recommend that you book your transport ahead of time-especially if you’re traveling during peak season. We recommend using Bookaway or 12go website so you can look up schedules ahead of time prebook boats, buses, and ferries. Koh Samui looks amazing. I think Lamai Beach caught my eye the most. 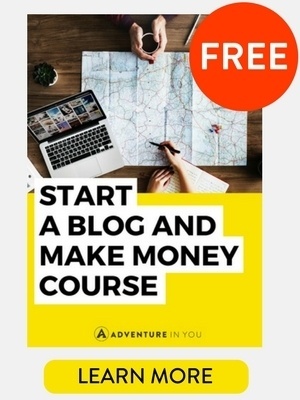 Great tips!